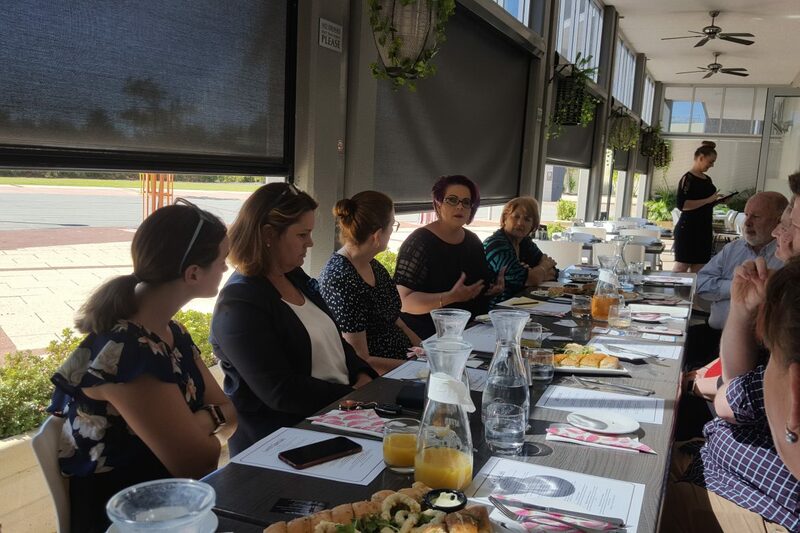 Sharron Attwood recently spoke on the topic of creating a distinctive, purposeful and consistent personal and corporate brand at our first Lunch ‘N Learn. Members and guests were highly intrigued and found the discussion both valuable and enjoyable. Sharron is a real asset to our Chamber and definitely knows what she’s speaking about. As I said to the gathered group, as we draw business and services and look to promote our not-for-profits, community groups and businesses, we need to look and work like pros. Even when people approach a community group, they want to know that it’s not a joke and that matters are treated and managed sensibly, ethically and professionally – time and resources willing. Sharron consistently demonstrates that doesn’t mean you can’t have a great distinctive style, be relaxed and friendly, be real and have fun at the same time. In fact, sometimes that proves the case that you are confident enough in your professionalism that you can relax and be yourself. Sharron currently has a very special offer available for her coaching and consulting services. Visit her site at www.brandetiquette.com.au to find out more. It’s a steal! There’s only one exceptionally good reason for you to work in any business, have any career, work in a volunteer organisation or serve your community in some capacity – and that’s not money. Money is merely a resource. Something to be used as a means to an end. I can only remember one individual I’ve ever coached for anything in business who ended up saying money was his sole motivation. He was dead inside. Regretfully, we have cancelled the Bullsbrook Expo due to lack of exhibitor registrations. Given the large investment of time, resources and energy in setting up, preparing for and participating in the Expo for both the Chamber and those exhibiting, I couldn’t justify running the Expo with the low numbers as I do not believe it would especially benefit anyone. This is an investment that all of the Exhibitors and attendees make and it has to be worth their while. Chamber Member Employsure is holding a free seminar that David Waters is inviting Chamber Members and others to attend on the morning of 28 February at The Quest in Midland. I’ve attended one of Employsure’s seminars before, thanks to David’s kind invitation, and can attest that they are valuable and information-packed for small to medium-sized business owners and organisations. 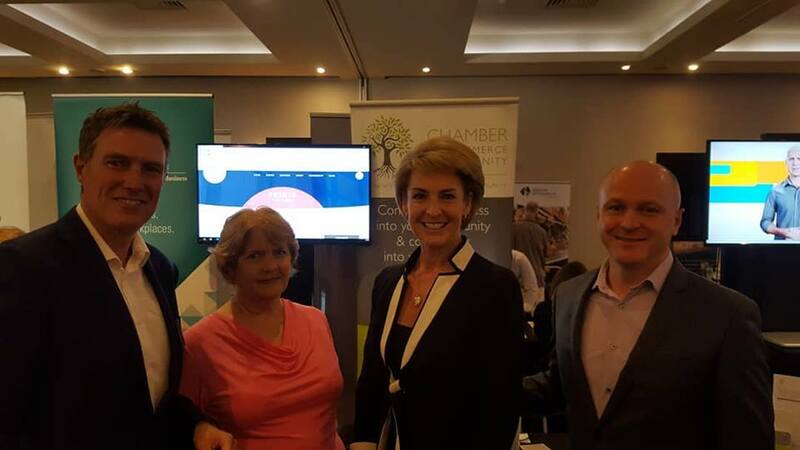 It was a very pleasant surprise for us to be able to partner as the local host for the Federal Small Business Fair in Perth North on February 6, organised in conjunction with Christian Porter and his staff, Senator Michaelia Cash and her office and the Department of Small and Family Businesses. We were delighted that both Christian and Senator Cash were able to come and speak at the event and meet with local business owners and Chamber members attending, as well as many visitors to our area. The Vines Resort was a prime location for the event, even though the temperature soared that day. I’m delighted to announce that The Chamber of Commerce And Community is hosting the Federal Small Business Roadshow for Perth North Metro on Wednesday, Feb 6, from 11 am to 7 pm at The Vines. I have just finalised our involvement this morning during a phone call from Canberra, following written discussion. 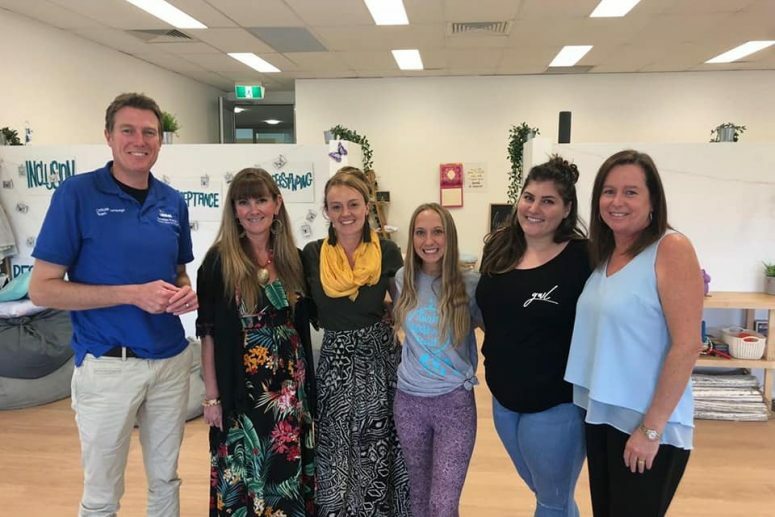 The Small Business Roadshow/Fairs are being run in 22 locations across Australia throughout February and March and Ellenbrook has been chosen as the site for all of Perth North. © Copyright 2018 All Rights Reserved | Website by Web and Print Design. Best viewed in Chrome, Edge or Firefox.